An excellent benchmark for customer satisfaction is an air compressor engineering firm’s first-time fix rate. In our experience, the more frequently our engineers can fix a problem first time around, the greater the likelihood of satisfied customers. In this article, Glaston explains how highly qualified engineers and extensive onsite stockholding have helped us to achieve exceptional first-time fix rates and delighted countless customers in the process. For the field service industries ‘first-time fix rate’ is an essential performance marker that separates the best from the rest. It’s essentially a measure of how often engineers are able to fix an issue at the first visit. 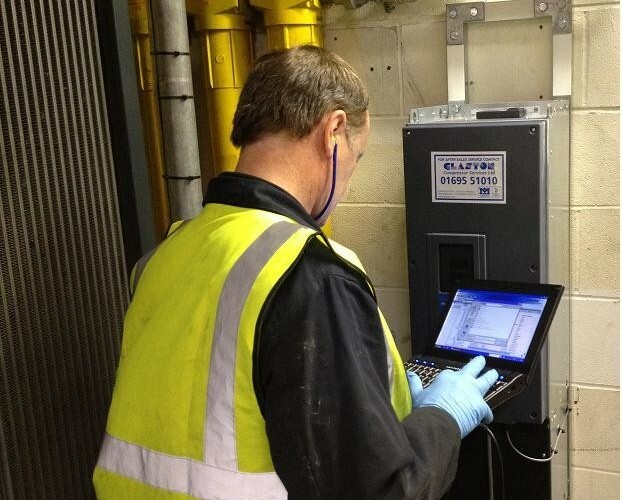 Naturally, given that any outage of a compressed air supply is hugely costly, fast compressor repairs are imperative to get a system back up and running efficiently. Time is literally money if an air compressor goes down for a manufacturer. When a problem occurs they will rightly want that issue to be fixed immediately. Any delays caused by multiple visits, which are generally due to a lack of parts or engineering experience, can have serious ramifications for the production line and the bottom line. Which is why a high first-time fix rate is so critical. According to research from Aberdeen Group, best-in-class field service organisations have been shown to resolve issues on the first visit 88% of the time, while average companies record an 80% rate and the also-rans return a rate of just 63%. Our rate at Glaston is over 93%. Customer satisfaction is integral to everything we do and the number one priority for all our Glaston compressor engineers is to deliver the best possible service to our customers. For that very reason, we place a high degree of importance on our first-time fix rates to ensure that, as far as possible, we’re able to fix air compressor breakdowns at the first time of asking. In our pursuit of excellence, there are several areas that we invest time and money into as a company, which not only help us to achieve high first-time fix rates but also set us apart from our competitors. The first is our continuous investment in training. “All of our Glaston compressor engineers undergo continuous and rigorous industry training,” says Michael Douglas, Managing Director at Glaston. “It’s a proactive policy of ours that means our engineers’ industry knowledge is second to none. That benefits our customers directly because the more qualified and experienced your engineer, the more efficient they are at pinpointing an issue and resolving it straight away. Customers rarely have to pay twice for labour because our engineers aim to get the job done on their first visit,” he adds. The second factor that helps us to deliver such high first-time fix rates is our extensive onsite stock holding. “We have a huge stock of spare parts kept on site at our Skelmersdale warehouse,” continues Michael. “Many of our competitors hold stock overseas, which can lead to a delay of several days waiting for parts to arrive, which isn’t ideal when you’re dealing with an emergency air compressor repair. Every wasted minute and hour can literally amount to thousands of pounds worth of costs due to lost productivity. “We don’t have that problem. With all the spare parts we need at our disposal, we can fix any breakdowns there and then. At the end of the day it’s all about delivering a first-class service. Why should a customer have to wait when their operations have come to a standstill? With Glaston they don’t have to because our 24/7 breakdown cover means we’re generally on site within four hours and will have resolved the issue soon after that,” he concludes. Fix air compressor breakdowns quickly and efficiently with Glaston. Speak to us today on 01695 51010 to find out more about our emergency air compressor repair services.